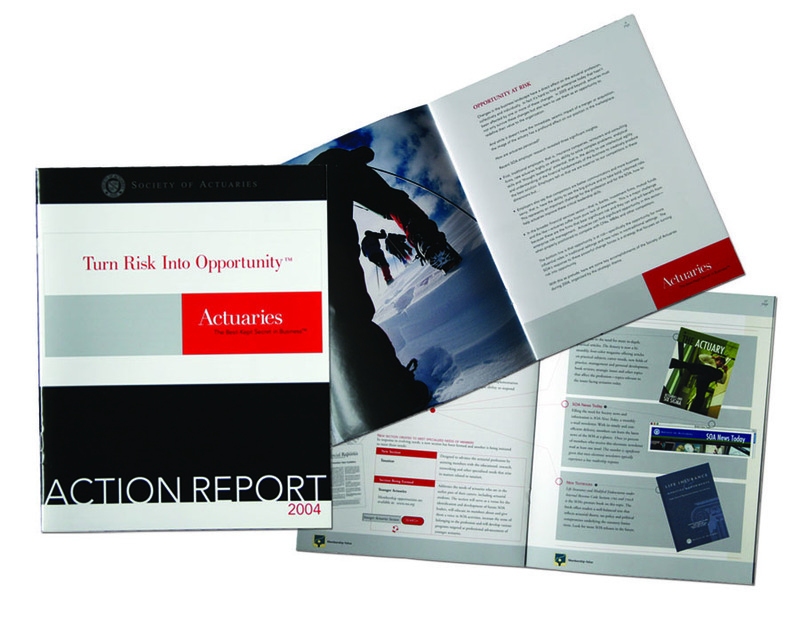 The Society of Actuaries Action Report is a quick glance of the SoA’s yearly progress. It leans more towards a marketing promo than an annual report but essentially serves similar functions. This Action Report leads in with the new marketing campaign on combining the concept of human risk to corporate risk with the strong use of photography. Acknowledging that actuaries are a solid fit for computing an accurate risk management forecast for a variety of industries.